OCA Global emerged as a project with great international projection, with the objective of being a global company capable of acting without geographical limitations. We are able to offer our services anywhere in the world, always adapting to the laws, regulations and needs of the environment and the country in question. 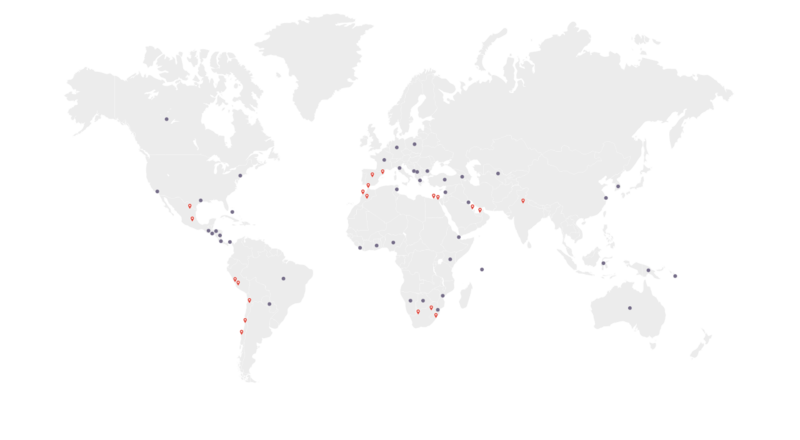 Currently, although we are physically present in 11 countries through our headquarters and offices, we are able to carry out our services in more than 50 countries around the world. Our team, with more than 1,400 employees, works every day to continue expanding our borders and to offer our services wherever they are needed.